Most of us are well aware of the current global financial crisis. This article will look at how the so-called credit crunch has affected the mortgage markets and what this means for prospective home-owners hoping to secure a mortgage. Is it still possible to get a mortgage and how easy is it? Stricter lending: Since the global financial crisis, realistically, it’s now harder to secure a mortgage and other credit. Mortgage lenders will still lend money – their whole business depends on being able to – however, their lending criteria has tightened dramatically. Higher rates: Mortgage interest rates have been consistently rising over the past few months. For consumers this has meant that many can’t secure an affordable mortgage. Higher deposits: In recent boom years, mortgages were granted at up to 100 or 125 % of a property’s value. Now, it is extremely difficult to secure a mortgage without a deposit of at least 10% of the value of the house. Restricted deals: Many mortgage deals have now been withdrawn from the market by lenders. This has resulted in less choice for buyers and fewer affordable deals. Increased fees: Arrangement fees for mortgages have rocketed in recent months. Some fees have gone up by almost a whole 100%. Reduced approvals: The combination of all these factors has meant that there has been a dramatic drop in the number of mortgage approvals. In order to have the best chance of securing a mortgage, there are a some specific things that all lenders will be looking for. Try to save up as big a deposit as possible: Many lenders are now looking for at least 10% of the property’s value, but somewhere closer to 20% is ideal. Realistically, this isn’t an easy amount to save up, especially in the short-term. Many, however, are using the time it takes to save up a deposit to keep an eye on the housing market and to build a solid credit score. Alternatively, many borrow money from parents who can afford it, in order to get a foot on the property ladder. Others who aren’t so lucky are clubbing together and investing in property with friends or relatives. Sort out your credit rating: As we’ve discussed, the eligibility criteria for mortgage approval is getting tighter in the current financial climate. Therefore it’s important to make sure your credit rating is as attractive as possible to lenders. For a small fee there are companies who will send you a copy of your credit file. The first thing is to make sure it’s correct and if not, to rectify any mistakes. Then you’ll need to work on any less-than-perfect areas. In order to get a mortgage in the current financial climate it could be beneficial to use a mortgage broker. 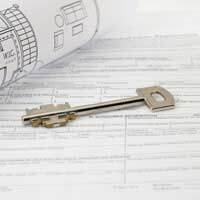 A mortgage broker may have access to exclusive deals and can also ensure that your mortgage is with a reputable lender. A mortgage broker can also advise mortgage-seekers who have a problematic credit score.